Clenbut 60mcg Tablets are Clenbuterl HCL ingredient tablets. 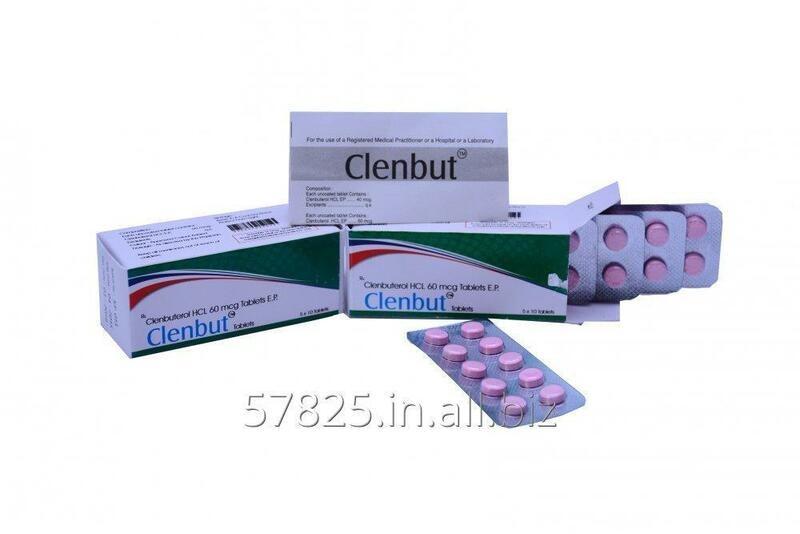 clenbuterol is asympathomimetic amine that is used by sufferers of breathing disorders as a decongestant and bronchodilator for asthama patients. Clenbut helps to eradicate adipose tissues (surplus fats) as a result of its thermogenic properties.this tablets can also be applied for bodybuilders and athletes. Clenbut tabs are available in packing strip of 10 tablets. Unbelievable price on Clenbut 60mcg Clenbuterol in Surat (India) company Shree Venkatesh International Limited.